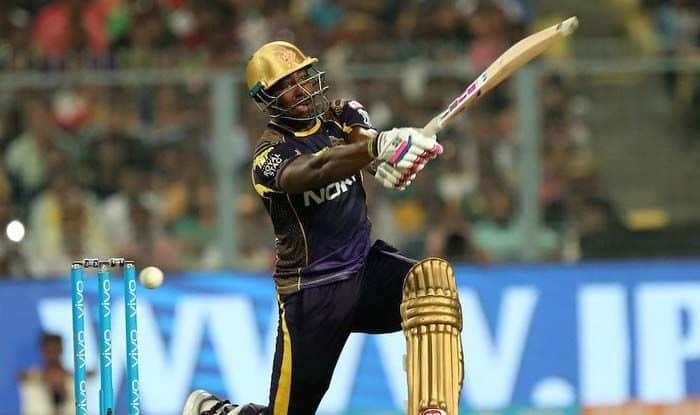 IPL 2019 Royal Challengers Bangalore v Kolkata Knight Riders Latest Cricket Score And Updates Match 17: Kolkata wins with five balls to spare. Russell's 13-ball 48* does it on the night as Bangalore's poor run continues. IPL 2019 Royal Challengers Bangalore v Kolkata Knight Riders Latest Cricket Score And Updates Match 17: Hello and welcome to the latest score updates of the crucial match at M Chinnaswamy. More than the Kolkata franchise, Bangalore needs to win this game badly. They have played four and won none, whereas Kolkata has played three, won two. The rivalry between Royal Challengers Bangalore and Kolkata Knight Riders is one made in heaven! Dominated by many records, it has come a long way since the very first match of the first season of IPL 2008. Who can forget that one? Brendon McCullum’s 158*, followed by KKR bowling RCB out for 82, the stage was set for the rivalry to grow with time. Both teams had a very similar fate during season 1 with KKR finishing 6th and RCB finishing 7th at the points table. But over the years things have changed. KKR won the IPL twice (2012, 2014), and the battle between the two sides gave viewers more memories with every game. Let’s take you through some of those records that had people talking and defines RCB vs KKR as one of the matches to watch out for. It is over KKR win with five balls to spare and by five wickets. Russell makes it another night for fans to remember. 11:36 IST: SIX, length ball and Russell does not need a second invitation. Consecutive SIX, length bowling gets the treatment. Another hattrick of sixes. FOUR, this time. KKR running away with it. KKR: 205/5 in 19 overs Kolkata need 1 run in 6 balls. 11:32 IST: Russell has to be the one to do it. WIDE, Siraj is looking to keep it away from the big man. SIX, and it is a no-ball. It slipped out of Siraj’s hand. He is being taken off. It’s a free-hit. Sheer power, another SIX, it is a tennis shot. Hattrick of SIXES. WIDE, just the over Kolkata needed. KKR: 176/5 in 18 overs Kolkata need 30 runs in 12 balls. Just the start they were after in a 206 chase. It will be a stiff chase and start will be the key to it. Partnerships would also be needed to get to the huge total. Kohli and ABD look set to get Bangalore to a massive total. Anything below 210, Kolkata would feel they are lucky. 7:52 IST: This is a big game for Bangalore and they would hope their big guns Virat and AB de Villiers come good. 7:32 IST: KKR win the toss, opt to bowl. 7:25 IST: Both the captains are making their way to the middle for the all-important. It is a 175+ wicket, but given the ammunition and firepower the two sides possess, even a 200+ cannot be written off. 7:15 IST: Kolkata has won the last four games against Bangalore. Will RCB make changes for a change of fortune? 7:00 IST: The toss will take place in half an hour. It is expected to be a high-scoring encounter as both teams possess the firepower.